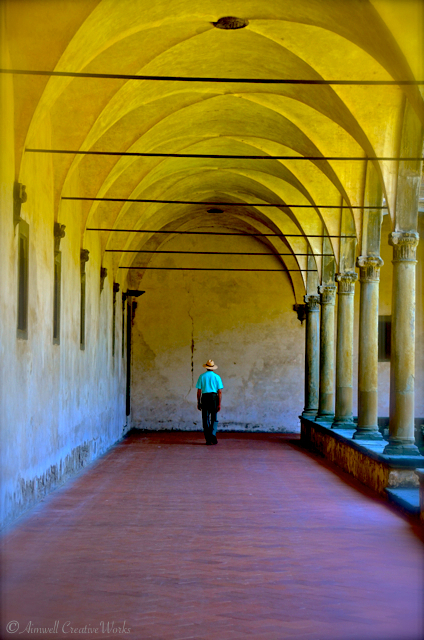 This entry was posted in Architecture, Art, Photography, Travel and tagged Aimwell CreativeWorks, art, colour, Dorothy Chiotti, Firenze, Italy, Photography, Sacred spaces, SantaCroce, Travel. Bookmark the permalink. We are the same, Dorothy. I’m the photographer and my husband is my patient and willing assistant. I often need to follow an inspiration to take a photo away from the group if we are on a tour. He’s probably lower maintenance than am I, but we travel well together. Lovely photo.